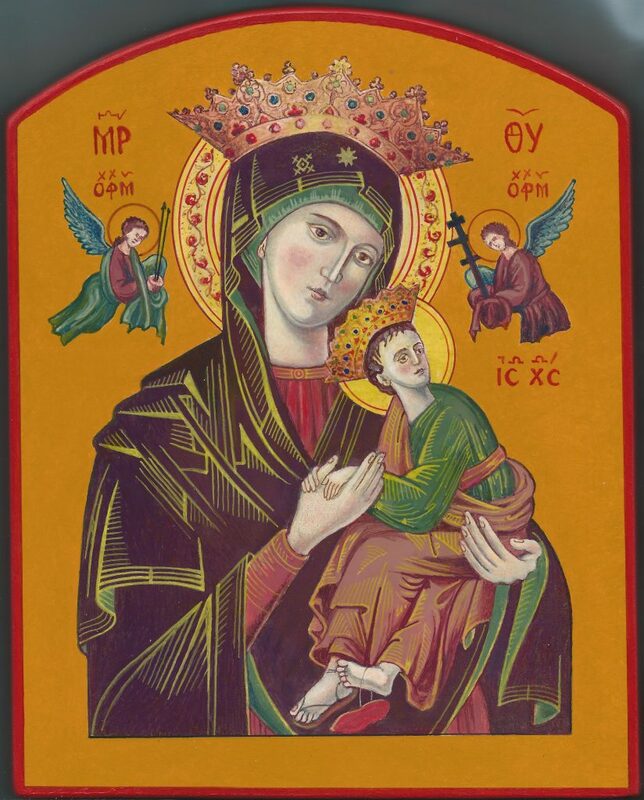 The word icon means simply ‘image’, a holy image to which special veneration is given. The icon plays a very specific role in the Orthodox Churches, where its worship in the course of time became integrated into the celebration of liturgy. The icon is considered equal in importance to the written word. One of the most eloquent expressions of the search for God by Eastern rite believers such as Ukrainians, Russians, Serbs, Coptics and others, and their spirit is to be found in iconography. Iconography is more than just an art, it is a liturgical art. 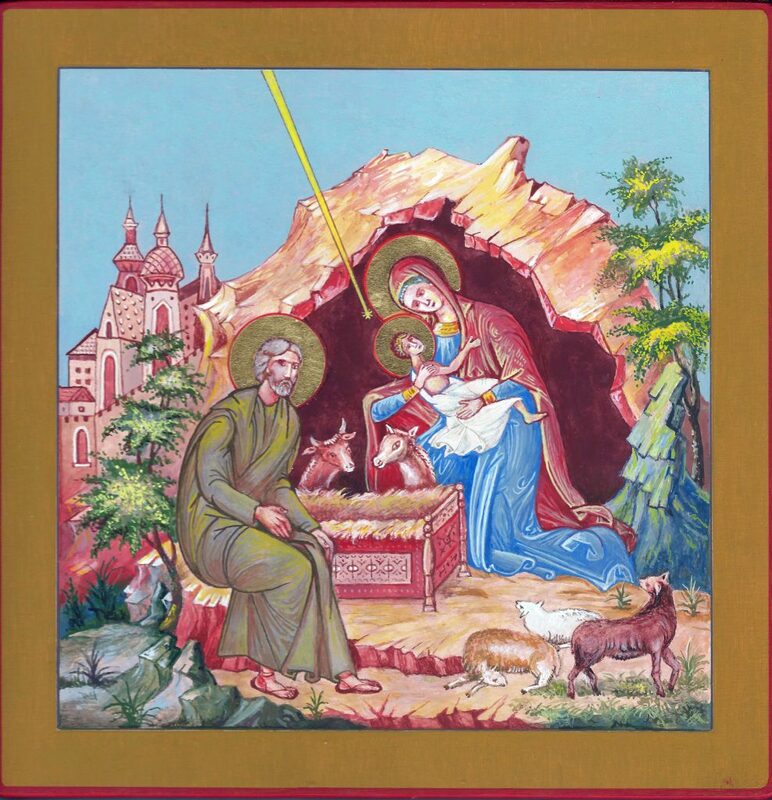 Because of its content, we can easily recognize religious art, but the icon has a very definite religious theme and it is this explicitness of theme which distinguishes the icon from other religious art. 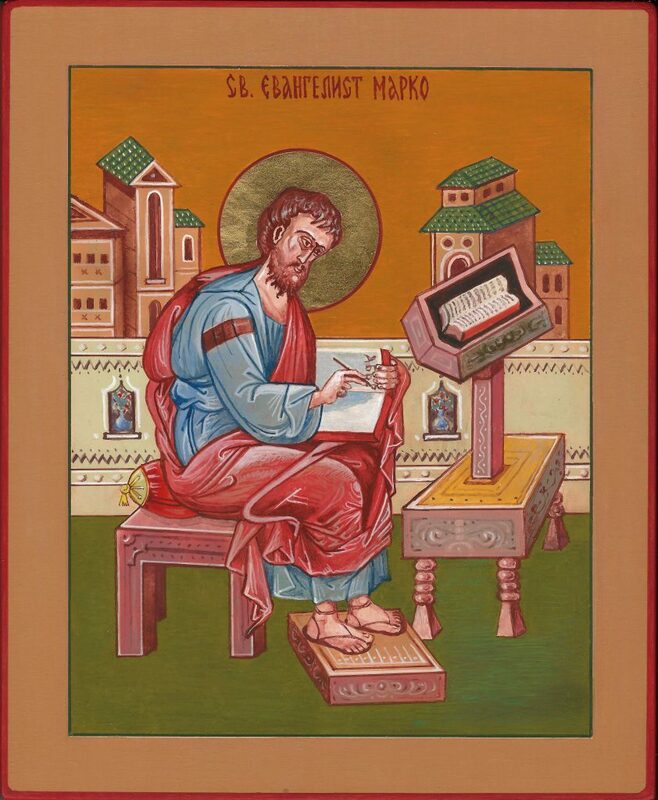 For example, I, as an iconographer, through spiritual understanding, try to achieve in writing (painting) icons a spiritual vision with religious content, that this icon can only function as it was intended – within a framework of worship. 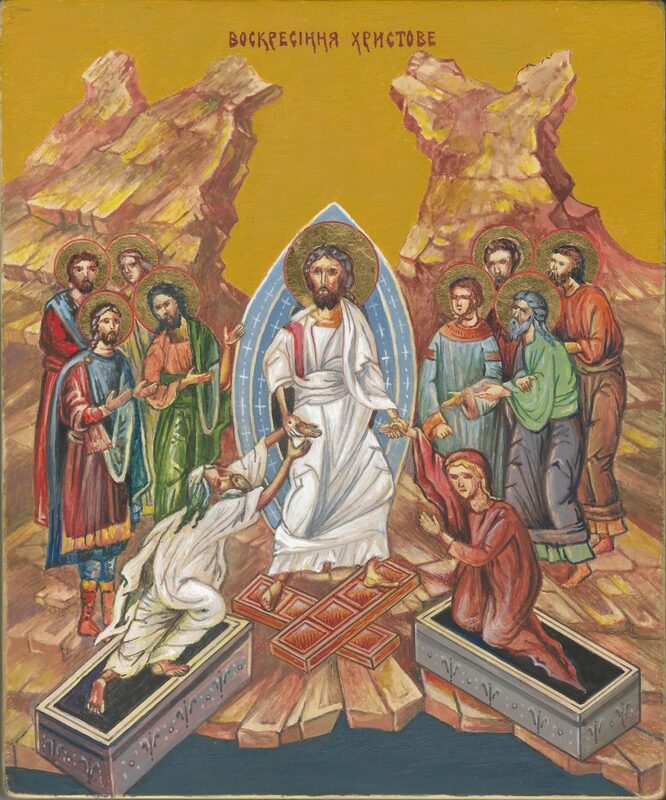 The underlying message of an icon is derived from two facts of Christian salvation: the Incarnation – the fact that God became Man, and the Transfiguration – the fact of consequence that human existence became spiritualized. The iconographer, through prayer, fasting, and the help of God, endeavours to bring about a transformation in the worshipper. He tries to convey knowledge through internalized spiritual imagery far above the material issue. It is recommended that the iconographer be well versed in the Holy Scripture, and theological truths and traditions. Although the iconographer’s degree of talent for composition, harmonious colour, and master of the painter’s craft are obvious in the icons he paints, he does not invent out of his own mind, but expresses living, spiritual realities of the Christian mysteries in visible form. Such forms are themselves permeated with the spirit or vitali-ty of what is represented in the icon. The icon then becomes an ‘incarnation’ in its own right. The technique of painting in egg tempera upon wood is a very old one and is used till present day. I, myself working in raw egg yolk with a drop of vinegar as a medium. The wood is carefully prepared with home prepared gesso (rabbit glue) and applied as much as 8-12 coats and then polished to a glossy surface. A reddish tinge is generally applied to the surface next, and then followed by an outlining of an image. Applying gold leaf is the next step. The faces are then painted upon the surface in a darkish brown known as ‘ochring’ mixed with white lead. The draperies are produced by a variety of colours and known as ‘probely’. The completed icon must dry for as long as possible before it can be preserved with varnish. 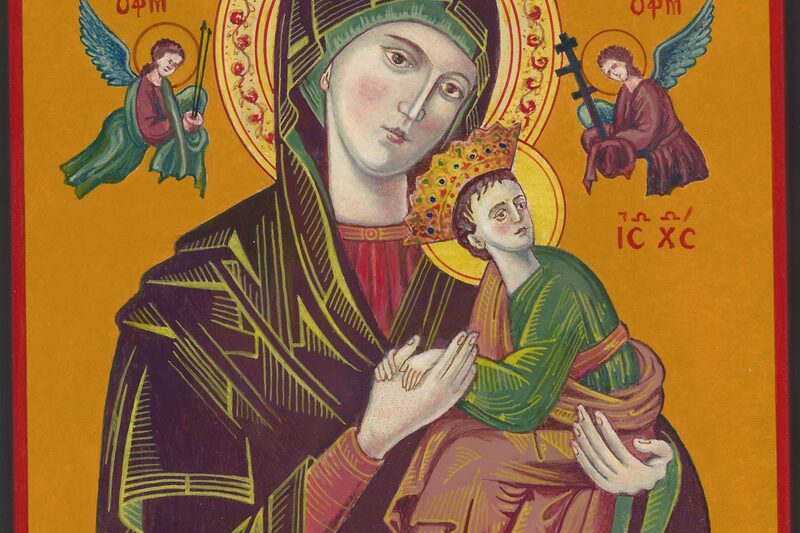 Even now, when I am writing an icon, I am blending human love and solicitude between Mother and Child with the dignified Byzantine interpretation of the divine. It becomes a unique transformation which can be seen in a few of my icons that portray Jesus Christ, the Virgin Mary, the apostles and the saints.